While there are many running events at Disney World, the big dance, the show, the main event is the Walt Disney World Marathon weekend. With more races, more distance, and more participants than any other runDisney weekend, the Marathon is a runner’s paradise. The centerpiece of Marathon weekend is the marathon, which hopefully comes as no surprise. As the only full marathon run on Walt Disney World property, this event brings out the serious runners but maintains a loose, fun, low pressure atmosphere that invites many amateurs and first-timers as well. 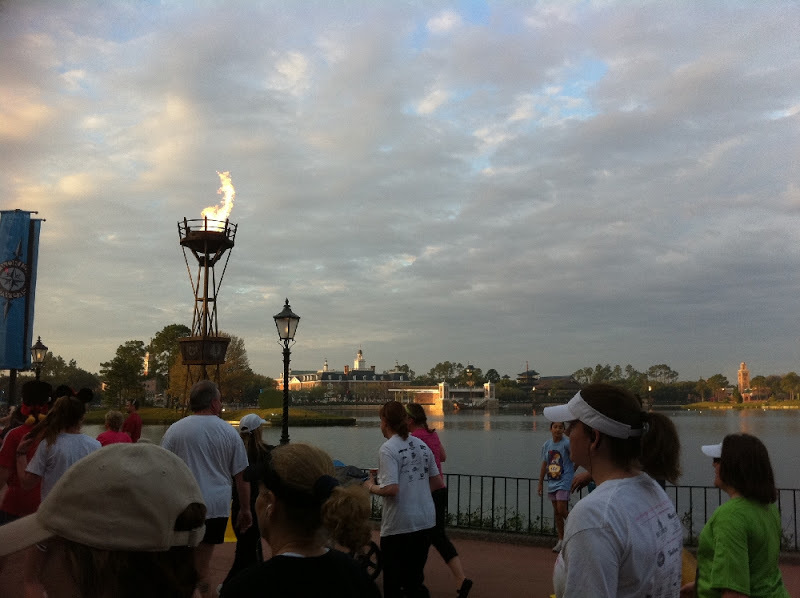 The course starts and finishes in Epcot. In between it winds its 26.2 miles through the Magic Kingdom, all the way down into the Animal Kingdom, on a quick tour of ESPN Wide World of Sports, and finally, a trip through Hollywood Studios. The entire race is punctuated by favorite Disney characters along the course, including some rarely seen ones. There is also on-course entertainment and there are always plenty of spectators who serve as excellent motivators. Since the start time is 5:30 am on a Sunday, you also get the opportunity to see all the theme parks at times when guests are not allowed in. The cost to participate in the 2020 WDW Marathon is $190 per runner. For the price of that registration you not only get the privilege of running for several hours, but you also get a Champion long-sleeved tech shirt, commemorative finisher medal, and access to a Family Reunion area with live entertainment and characters. If you have ever wanted to see all four parks in one day but you feel like motorized transport is too restrictive, the Walt Disney World Marathon is the race for you. Is 26.2 miles just a little out of your comfortable range? What if we told you that you could get many of the same benefits in an easy to carry half-size? Great! 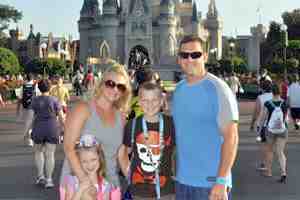 It sounds like you and the Walt Disney World Half Marathon are perfect for each other. If our math is correct, the half marathon is a 13.1 mile event that leads you through the Magic Kingdom and Epcot at the invigorating hour of 5:30 am on the Saturday of Marathon Weekend. As with the full marathon, the course is sprinkled with Disney characters and entertainment. For the 2020 Half Marathon it will cost you $188 to register (you get a $2 discount for only running half the race). For the price of that registration you get a Champion long-sleeved tech shirt, commemorative finisher medal, and access to a Family Reunion area with live entertainment and characters. We know what you’re thinking, that marathon sounds like a blast but it’s just not enough running for one weekend. Don’t worry, runDisney has you covered with the aptly named Goofy Challenge. To be considered truly Goofy you need to register for the Challenge then simply run both the Half Marathon and Full Marathon in the same weekend. Easy peasy. If you can successfully complete all 39.3 miles you will receive the two finisher medals for the separate races as well as a special Goofy Challenge medal. Similarly, you also get three Champion tech shirts as well as the other add-ons listed above for the separate events. Registration for the Goofy Challenge is separate from the registration for the Full and Half Marathons and runs a little more than the price of the two combined. For the 2020 Challenge it cost $385. For the shorter distance runners, Disney has you covered too. At 5:30 am on Friday of Marathon Weekend is the Walt Disney World 10k, a 6.2 mile race that snakes around Epcot and the Epcot Resort area. Like the other races, Disney characters and other entertainment are found all along the 10k course. The price for the 2020 10k is $127 and included similar swag to the other races--shirt, medal, etc. If you are eager to participate, but feel like the 10k is still a little too far, the Walt Disney World 5k might be just your thing. With a course through Epcot highlighted by Disney characters, this 3.1 mile jog is run in the wee hours of the Thursday of Marathon Weekend. For the 2020 5k it costs $87, and for that price you also get a t-shirt and a special finisher medallion. So let us get this straight…you read the Goofy’s Race and a Half Challenge above and thought that sounded too easy!? Okay, well it seems like you are ready for a dopey challenge--or more to the point the Dopey Challenge. Holy cow, this is a lot of running: to finish the Dopey Challenge, runners need to finish ALL FOUR OF THE ABOVE RACES! That’s right, participants run a 5k on Thursday, a 10k on Friday, a half marathon on Saturday, and finish with what is surely a pleasant full marathon on Sunday. Finishing that whopping 48.6 miles in a long weekend not only garners you respect (and probably some testing for mental illness), but an equally whopping six medals! One each for the four races, plus the Goofy medal and a special Dopey medal. In addition to garnering so much neck metal that Mr. T would recommend scaling back, Dopey runners also get 6 shirts and all of the added benefits listed for the individual events above. As you may imagine, the registration cost for the Dopey Challenge is a little on the steep end. To participate in the Dopey challenge in 2020 it will run (pun intended) you $590. As part of Disney's apparent desire to make people literally run around the world, runDisney has added the Castaway Cay Challenge. This particular race not only challenges the body, but also the bank account as it is part of a Disney Cruise Line 4-night Bahamian cruise. Willing participants board the Disney Dream cruise liner in Port Canaveral, Florida on January 13, 2020, just after Marathon weekend ends. While on that cruise you'll sail to Disney's private island, Castaway Cay to compete in the 5k run. In addition to the price of the cruise, the 5k itself has an entry fee of $80 in 2019 that got you a T-shirt, finisher medallion, and "surprise Disney magical moments." Clearly the only downside to running one or more races at Walt Disney World is the inevitable questions from your kids about why they are stuck going on rides while you’re having all the fun. Luckily Disney has that covered too with a multitude of Kids Races for all those 13 and under. Any child under 14 can participate in the 1 mile Mickey Mile run, but there are also shorter distances available for the younger ones. 7 and 8 year olds can compete in a 400m dash, there is a 200m dash for the 4-6 year olds, and a 100m for 1-3 year olds. If you have a crawler, the Diaper Dash is there for them too. All participants receive a t-shirt and finisher medallion in return for the registration fee. In 2020 the Mickey Mile costs $30 per child and it was $20 for the other races. Held at the ESPN Wide World of Sports complex the entire Marathon weekend, the Expo is very important for one particular reason. It is where runners pick up their race packets, which MUST BE PICKED UP before participants are allowed to run. Other than that, the Expo is also a great place to buy Marathon merchandise or browse the latest in fitness gear and technology. There are also frequent speakers and presentations about running for any in attendance. Special bus transportation is provided from on-site Disney resort hotels to all Marathon weekend races and events. The Walt Disney World Marathon brings a significant amount of people to the resort, but it really doesn’t significantly increase the wait times on any of the attractions. Being in the parks during this event weekend you may notice more people wandering the pathways, many of them with brand new, shiny finisher medals. You will not notice much of an impact to your touring strategy, especially if you use a proper Touring Plan.